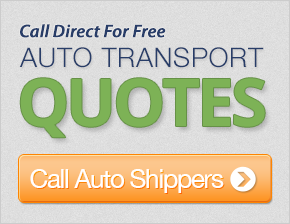 Get up to 7 free auto shipping quotes from the largest, most trusted Nebraska auto transport companies and save up to 50% on your car shipping rates at CarMoves.com. Car shipping companies in Nebraska compete for your business, which is how you can save hundreds, if not thousands of dollars on car transport services by shopping with us. Whether you're shipping a car to Nebraska, across the country, or even overseas, we can help you get the best price on your shipment - guaranteed! Read more about the following auto transport companies in Nebraska before getting a quote. Click on the name of the company to read a full review. Get a free auto transport quote today to find out how much it costs to ship a car to or from Nebraska! Nebraska is a moderately-sized state located smack dab in the middle of America. Known as the "Cornhusker State," its nickname provides a majority of information about what can be found in the state - namely, corn and farms in general. Nebraska is one of a handful of Midwestern states that play a dominant role in the nation's agricultural industry. The state produces considerable amounts of soybeans, as well as meat from ranching cattle and pigs. Another major player in the state's economy is the insurance industry, including the famous Omaha-based Mutual of Omaha financial services company. Dozens of other insurance companies are also based out of Omaha, a trend that became popular in the middle of the 20th century. As such, Omaha is now regarded with the likes of Boston and New York City in terms of the number of powerful financial companies operating out of the city. Many major technology companies have also grown roots in Nebraska due to the state's central location; Omaha itself is the location of the union of approximately six major fiber optic networks, resulting in plenty of coveted bandwidth for employers. 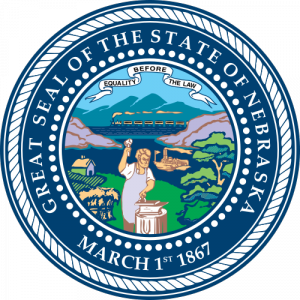 Due to the various advantages of living and working in Nebraska, the state has a particularly low unemployment rate: 4.6% as of January of 2010. Like several other Midwestern states, Nebraskans have commonly held a conservative political allegiance. However, this state may change as, most recently, close to a third of children being born in Nebraska are minorities. Other signs point to a cultural shift in Nebraska, including a shift from rural living to urban living, as both Omaha and Lincoln continue to grow in terms of population. In terms of entertainment, Nebraska lacks professional sports teams, though this does not mean sports don't play a big role in the city's day-to-day life. College football is very popular, as the University of Nebraska Cornhuskers play in a large stadium that seats more than 80,000 people. Otherwise, most of the state's attractions are much lower key, though there is still plenty to do in Nebraska's wide open spaces. CarMoves.com works with car shipping companies throughout the state of Nebraska. We can help you get the best prices on car transport services to the following cities in Nebraska: Omaha, Lincoln, Bellevue, Grand Island, Kearney, Fremont, Hastings, North Platte, and many more. If you don't see your city listed, don't worry - we can get your vehicle shipped anywhere in Nebraska. Scroll to the quote section on this page to compare free auto shipping quotes from up to 7 Nebraska auto transport companies and save up to 50% on your move! View the Nebraska Department of Transportation website for more information.